A fuel retailer in New South Wales, Australia was giving drivers free E-10 (10% bio-ethanol fuel) yesterday as tried to reverse the reluctance many motorists have with using the alternative fuels. Australian law dictates that fuel retailer must ensure 6 per cent of all petrol sales are ethanol, however motorists have been heading straight for the the regular or premium unleaded pump instead. This has left many fuel retailers at risk of missing their biofuels sales target. The service station filled about 700 cars during the hour-long promotion, with a one kilometer queue of motorists waiting for their free fill up. Acting Premier Andrew Stoner praised the use of E10, stating that it was a cheaper alternative for cash strapped motorists and was better for the environment, “When you think about V8 Supercars using 100 per cent ethanol, I think that serves as a vote of confidence for the product,” he said. Many motorists are still very skeptical with using ethanol with some motoring organisations claiming that its may cause damage to engines and fuel systems if used too frequently. 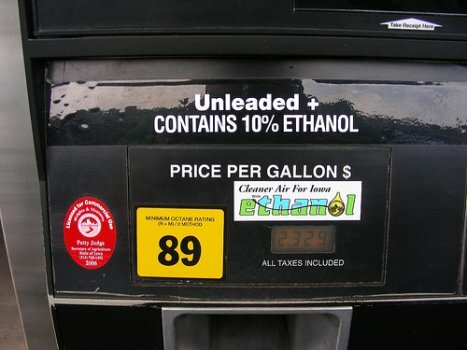 The Australian Federal Chamber of Automotive Industries website helps drivers of both cars and motorbikes identify which vehicles are suitable for fuels that contain ethanol, fuel retailers openly advertise this to help re-assure drivers. Many thrill seeking motorcycles state that the drop in performance that E-10 provides is more than enough of a reason to choose regular unleaded. E-10 has a lower octane than normal fuel, causing engines to develop less power. If you choose to install a kit that enables your car or motorbike to run on bioethanol it’s wise to let your insurance company know. The last think you want its a cancelled policy after claiming on you bennetts bike insurance after dropping your pride and joy. Using E-10 in small motorbikes or marine equipment that used two stroke engines is not recommended however you should always check with your manufacture.